Surreal art is a 20th century movement aimed at expressing imaginative dreams and visions that can be completely irrational. Salvador Dali was one of the most influential surrealist painters. The people of Warrensburg can experience surreal art firsthand via the artwork and tattoos of Terra Walker. She works as a tattoo artist at the Dublin Social Club, located at 126 N. Holden St., and works as an artist selling paintings, drawings and print to supplement her income and support her family. She describes herself as an illustrator, and those illustrations can be seen around town in the form of more than 1,000 tattoos and artwork that adorns The Bay, at the local bar’s new location, as well as the walls of the Dublin Social Club. CMN caught up with Walker at her tattoo station in the shop last week, her hair a mess of purple and blue shades in her face, wearing a long sleeveless shawl with tattoos adorning her arms, her left hand a bit puffy from some new ink. In between tattoo appointments at the shop and prepping a drawing of a green dragon with eyeballs down its tail and a pink holographic background to be shipped to a recent buyer, Walker took some time to talk about her motivations as an artist. (Photo by Andy Lyons) Terra Walker works on a tattoo at the Dublin Social Club, located at 126 N. Holden St. Warrensburg, Mo. She describes her style as surrealistic, and prefers to work outside the lines of reality. The style appeals to Walker because she identifies heavily with it. She explained her draw to surrealism as ‘80s thrash music played on throughout the shop. Walker said she was drawn to surrealism because of a desire to express herself. 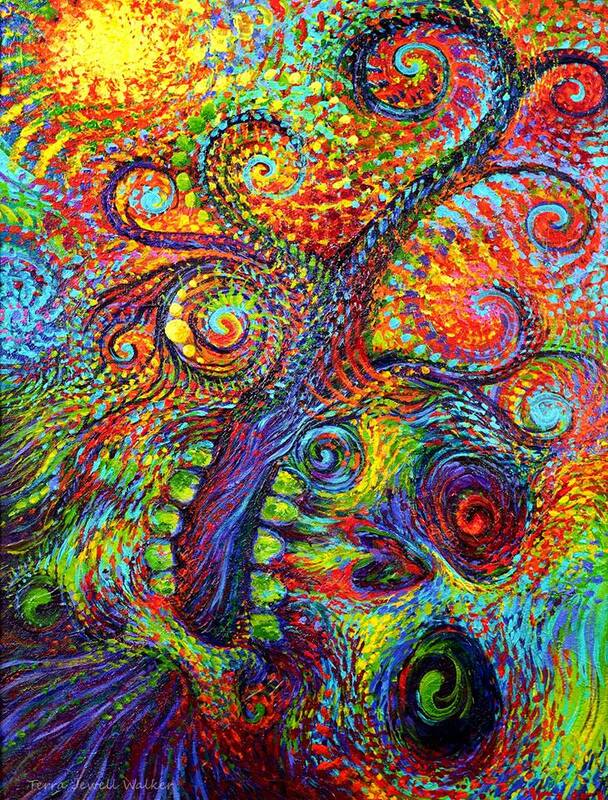 (Photo submitted) “Biogenesis” 18×14 acrylics on canvas panel, 2012. Walker said she’s always been an artist from the time she was in grade school. She describes herself as an introvert, a point accentuated by her calm demeanor, and mentioned how tattooing has helped her break out of her shell a bit – but not too much. “I was basically born an artist, that’s all I’ve ever done,” she said. “I was really shy and kind of awkward lonely kid so I would just sit and draw pictures all the time. I’d draw on myself, draw on paper, just constantly creating my own little worlds with characters. Walker got her start in tattooing at the age of 19 while visiting Tony Madrid while he was working at the Zone, also in Warrensburg. She said Madrid saw a concept drawing she had for a chest piece. He wanted to see more of her work and was interested in taking her on as an apprentice, so Walker obliged and “the rest is history,” as she puts it. Over the course of her career, the 29-year-old artist said she’s given at least 1,000 tattoos as well as been tattooed more than 30 times. Her favorite tat is an Entwife, the female version of the ents featured in the “Lord of the Rings” novels. The piece was done by Josh Martin, who was a fellow student of Walker’s at the University of Central Missouri and is now tattooing in Seattle. Walker sat back in her seat a bit to think about her weirdest request during her career as a tattoo artist. Some tattoos are more difficult to work on than others, Walker said it was primarily due to the person being tattooed. She said she’s recently started branching out, working more with realistic portraits as opposed to the surrealistic style she’s more comfortable with. 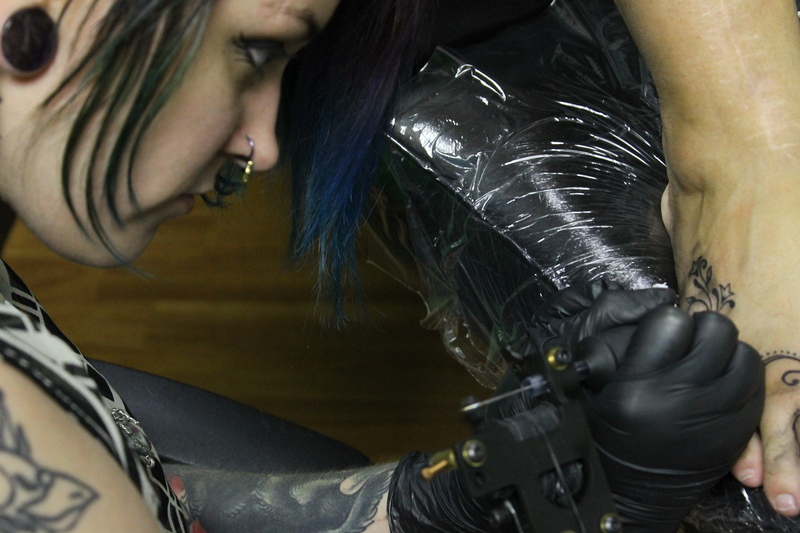 Tattooing and working on other types of art have made Walker more of a well-rounded artist. She said both types of art complement one another and make her better at designing pieces she is working on. She’s been using Etsy for about a year and recently set up an artist page on Facebook to reach a broader audience with her work. Listed on her Etsy are both original works as well as prints, hoping to sell her art to a wide audience. She said people started asking for prints as opposed to originals because of the price difference. When describing what’s different, Walker noted the hours she pours into her original work and her personal attachment to each piece. She said paintings, especially acrylics paintings, have a textural quality that allows people to run their hands over a piece and feel the layers of paint and have an almost 3-D aspect to them. Walker also uses the social media photo app Instagram to display her work, from in-progress paintings to finished tattoos. Earlier this year, she was featured on the Instagram user Superb Tattoos, with more than 200,000 followers, and garnered a lot of attention for an elephant back piece she has been working on for a couple years. 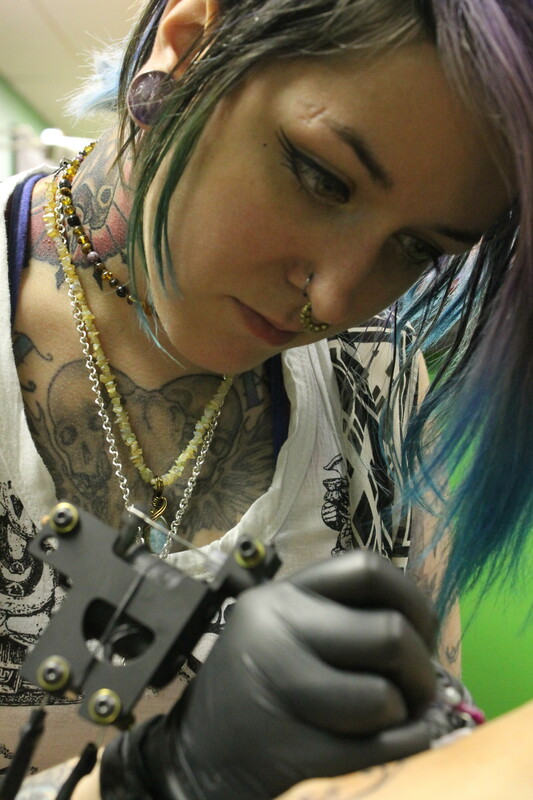 Walker said she can’t imagine doing anything else when it comes to being a tattoo artist. Follow Walker on Facebook here and Instagram here. View her original works and prints on her Etsy page here.